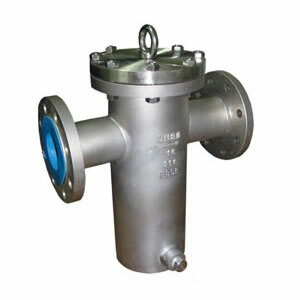 Basket strainer is the necessary equipment on the pipeline, as the safe-guard filter, removes large contaminant particles and protect key equipments such as pumps, nozzles, heat exchangers and valves. It can obviously extend the service life of key equipments, improve operational efficiency and avoid the risk of costly system downtime. SF filter also works well as the direct large particle filter. The metal filter basket is reusable by cleaning and cost less filter media consumption. If you have any inquiry for basket strainer, please send the specification to us by email, thanks.